What's an Air Jordan Without a 'Bred' Colorway? Black and red shows up for the Future. 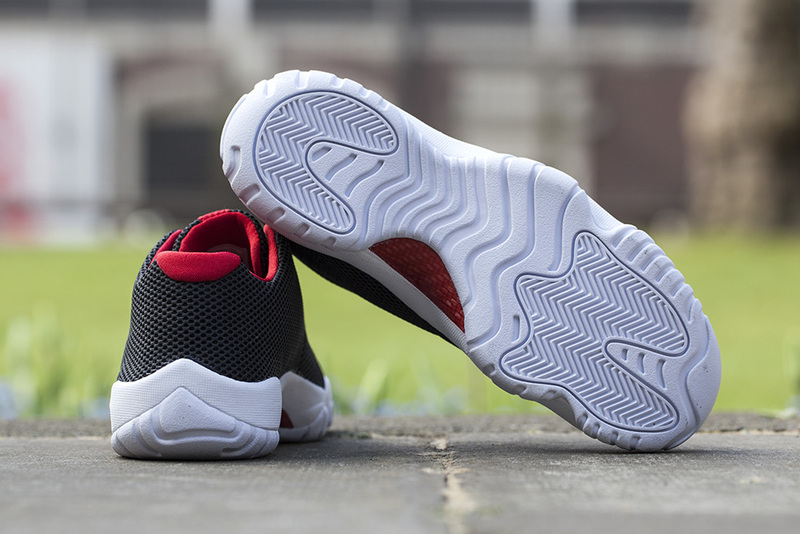 The Air Jordan Future Low isn't exactly connected to MJ's time as a Chicago Bull, but it's still going to be borrowing those colors. 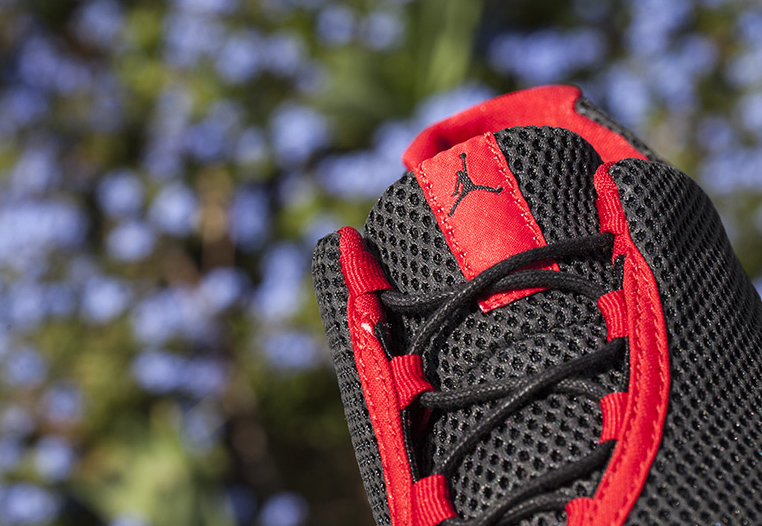 That will happen on this new pair, which wears a mostly black upper than introduces some red in via the accents. 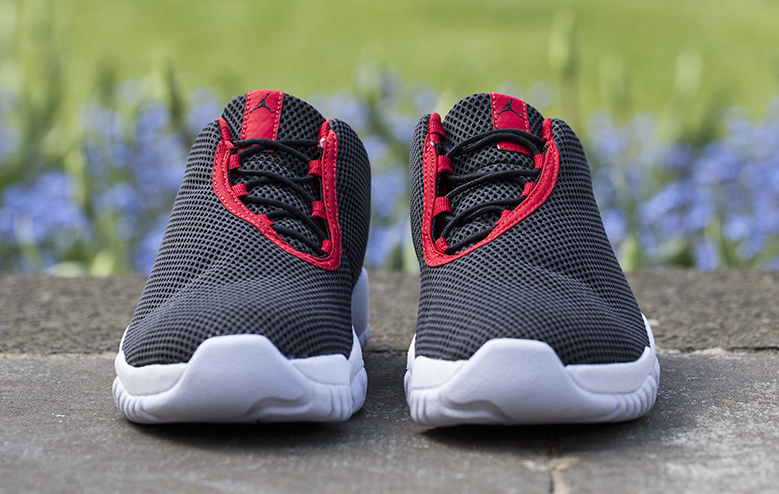 The Jordan Future Low has consistently ditched the icy sections on bottom and this pair is no different, as it's all solid rubber there. 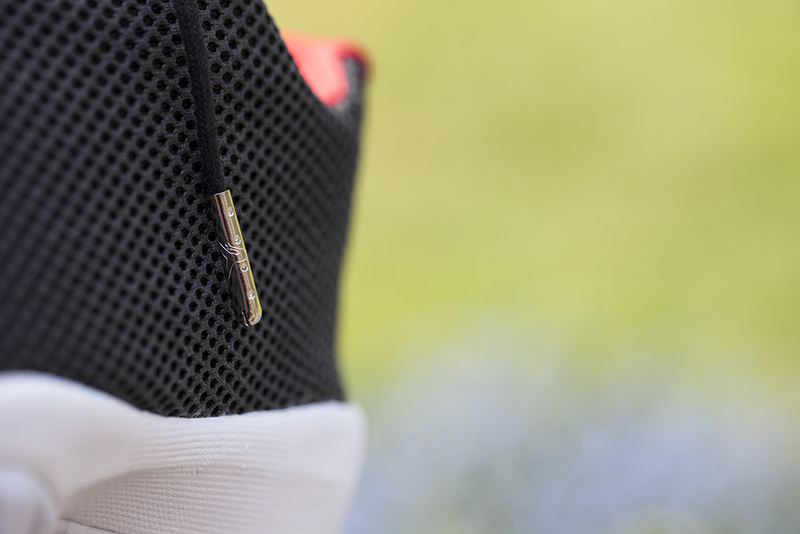 The sneaker also sticks to the mesh that's been standard for the silo so far. 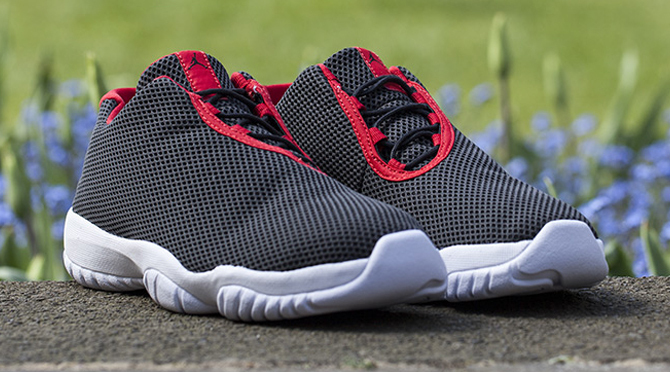 European shops are releasing these Jordan Future Lows soon, and Footpatrol will have them on April 25.